Guided writing to improve narrative writing. The present downloadable teaching material is meant for elementary school students at Intermediate (B1) level. 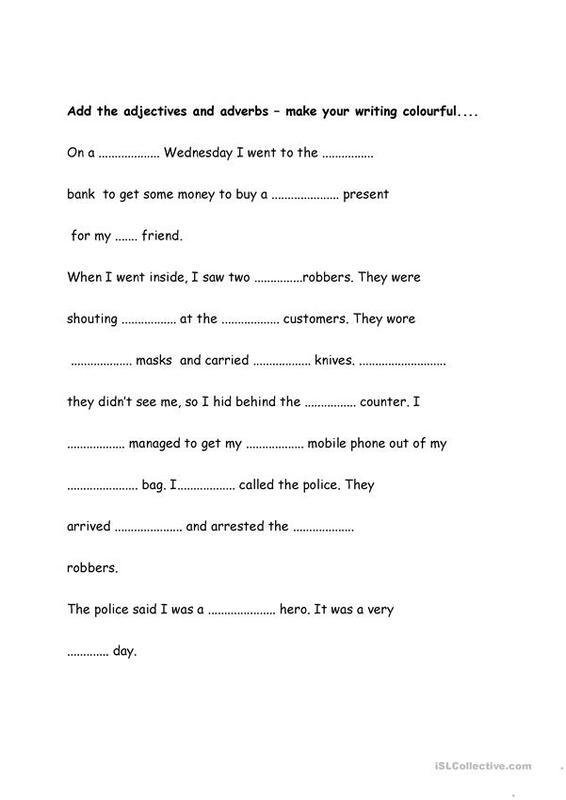 It is valuable for practising Adverbs in English, and is excellent for honing your groups' Writing skills. It is focused on the topic and words of Crime, law and punishment. ralls is from/lives in Greece and has been a member of iSLCollective since 2012-10-05 05:23:12. ralls last logged in on 2012-10-05 05:23:13, and has shared 1 resources on iSLCollective so far.